Kara Vandas is an educator with an enduring passion for empowering learners. She began her career in education at an alternative school for youth at-risk. Kara spent several more years in the classroom in public education as a middle and high school educator and then transitioned to coaching and professional learning positions that allowed her to support teachers and leaders. Her current role as an author and consultant takes her around the world to partner with schools and school districts. She also presents nationally and internationally at conferences, with a focus on learner agency and efficacy. 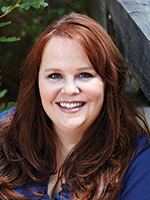 Kara is the co-author of Partnering with Students: Building Ownership of Learning and holds a Master’s degree of Education in Curriculum and Instruction from Regis University. She has worked in K-12 education for nearly 20 years with a focus in instruction, curriculum design, using data to drive instruction, science education, learning environments, formative assessment, Visible Learning, and more. She also volunteers as a board member at her child’s local school, where she and her family live in Castle Rock, Colorado. She loves the outdoors and spends much of her free time with family and friends.